When accountants intentionally or negligently ignore established accounting practices and their clients suffer financial losses, there may be cause for a professional malpractice claim. An accountant is bound to follow Generally Accepted Accounting Principles (GAAP) and Generally Accepted Auditing Standards (GAAS) depending on the activities they perform on behalf of his or her clients. These standards have been put into use by the U.S. Securities and Exchange Commission to ensure proper financial reporting and transparent and unbiased auditing of accounts to prevent fraudulent activities. When an accountant intentionally departs from GAAP or GAAS, his acts or omissions could constitute a breach of contract. The signed contract between the accountant and client will generally dictate what actions can be taken against the accountant when malpractice has occurred. A breach of contract occurs if the accountant has failed to produce a specified result or has failed to meet an acceptable standard of professional care and these failures have directly and proximately caused some harm to the client. 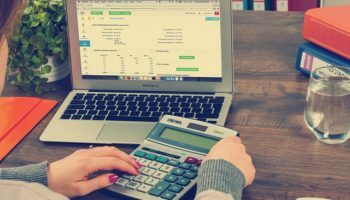 When establishing a negligence claim against an accountant, the plaintiff’s professional malpractice attorney must show proof that the basic elements of negligence occurred. An accountant has a duty of reasonable care when providing his services. When the accountant fails to use his skill, education, and care as others would in similar circumstances, he can be found negligent. The attorney must show that the damage suffered by the plaintiff was a direct result of the accountant’s breach and be able to show the relationship between the two. When misrepresentations are intentional or gross negligence has occurred, a plaintiff may be entitled to a higher award for damages at the discretion of a jury or judge.